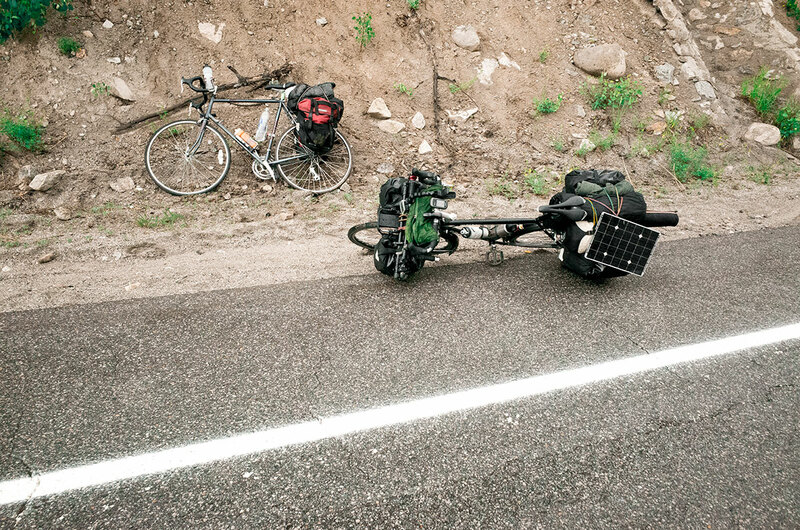 I’ve received a lot of emails asking about the gear I used and how my bike held up during my summer U.S. bicycle tour. I initially wanted to do infield reviews while out on the road but only had the opportunity to squeeze in a few videos but nothing in depth. However, since my trip is completed I can nip this in the bud and give you my perspective on the bike and gear I traveled with. This gear review will be broken into two parts, one with the bike and lastly the gear which you will find in a second post. Stay tuned for that as it will be featured in the gear section and blog. When I realized this trip was going to happen I immediately started looking for a bike. I visited local shops and the Internet for research and used frames. 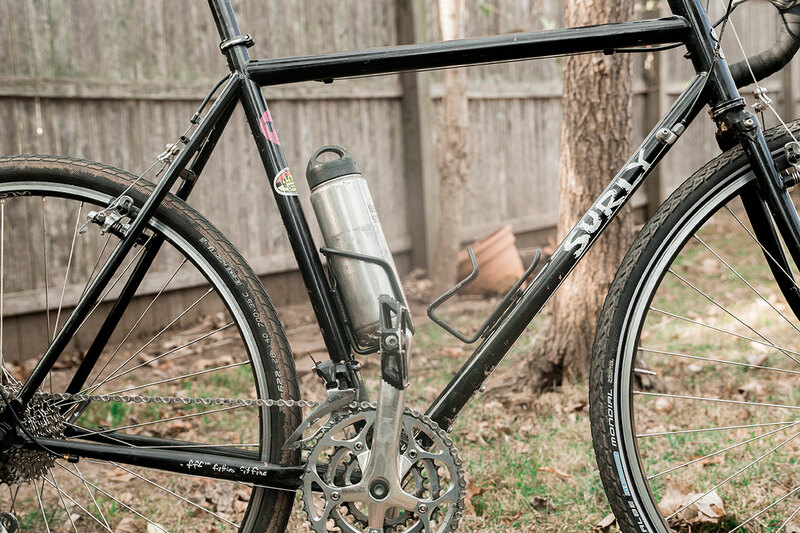 While there’s a plethora of bikes to choose from, the Surly Long Haul Trucker is coined to be the go to, or what I call “The Ultimate Machine”. I thought about some of the gear that I’ll be bringing and the different terrain I may encounter. 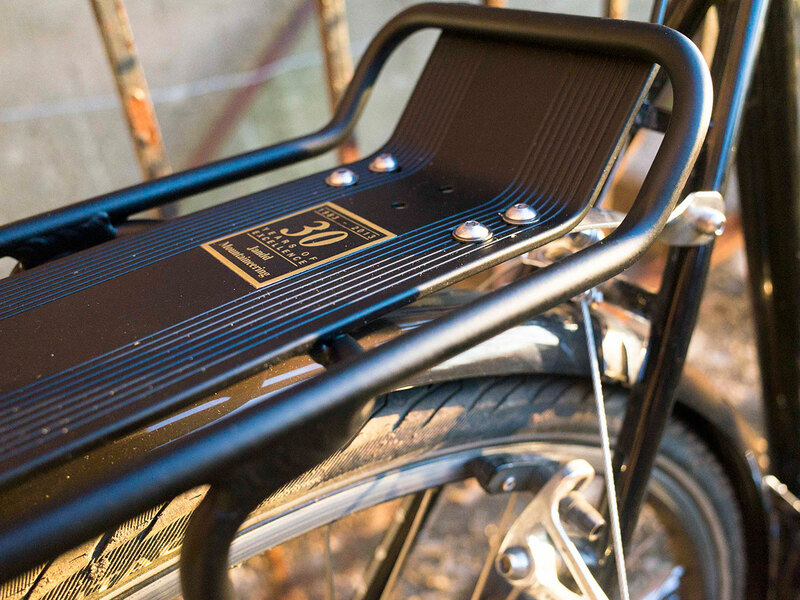 I was looking for something that was durable, comfortable and easy to ride, versatile, easily repairable when things go south and aesthetically good looking without a hefty price tag. I checked this all off on the list and LHT seemed to mark my needs. After spending sometime unsuccessfully finding a used frame and ringing several shops asking for a green or black 56cm LHT. I was pretty much decided on a black or green color way since I was buying it new and was planning to have this bike forever. Everything fell into place; I ended up finding a black one at my local shop and was off to take a look. They were psyched to hear about what I was doing and hooked me up with a 2013 model ringing in just under $1250. I took the metro to the bike shop to pick it up and was excited to ride back home and put its first bit of mileage on it. I had the bike about 3 months before my trip in May so this gave me the winter season to ride and gather all other components I needed. 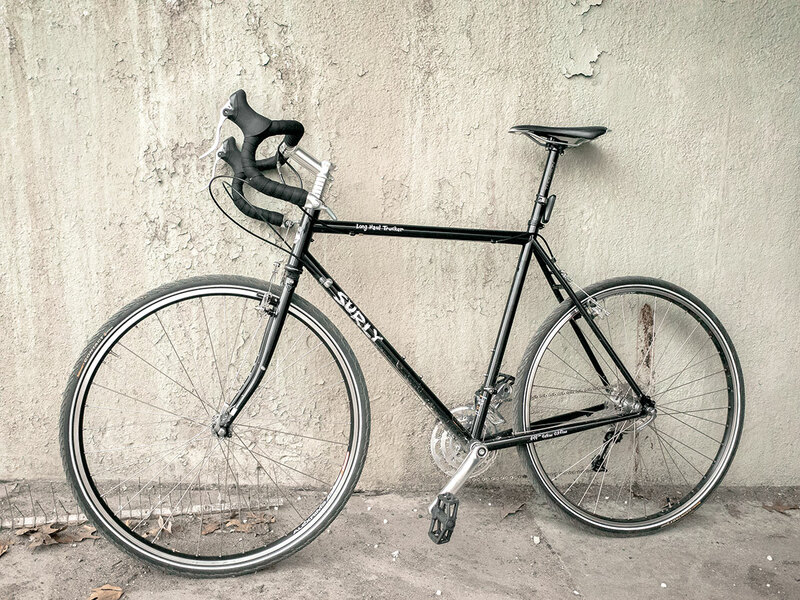 As I mentioned earlier, I was in search for a bike that was versatile and that can also used as a commuter, on a single track and durable to hold my gear when it’s time to take off. I started riding it to work as I do with my other bikes, along with weekend adventures to the local trails. 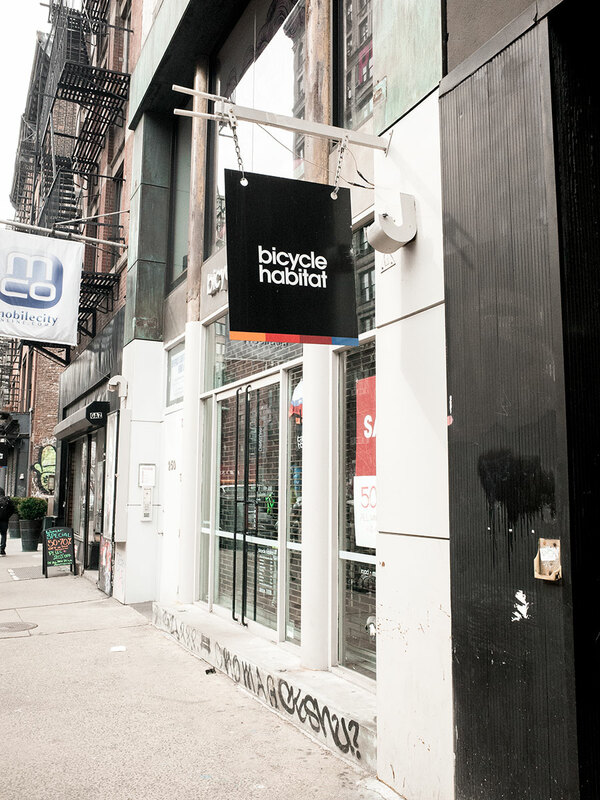 I noticed the bike was pretty heavy right out the door. But I knew this before hand and when fully loaded should be fine. I mean for a bike that can lug around 300 pounds don’t expect riding a feather light carbon or aluminum. 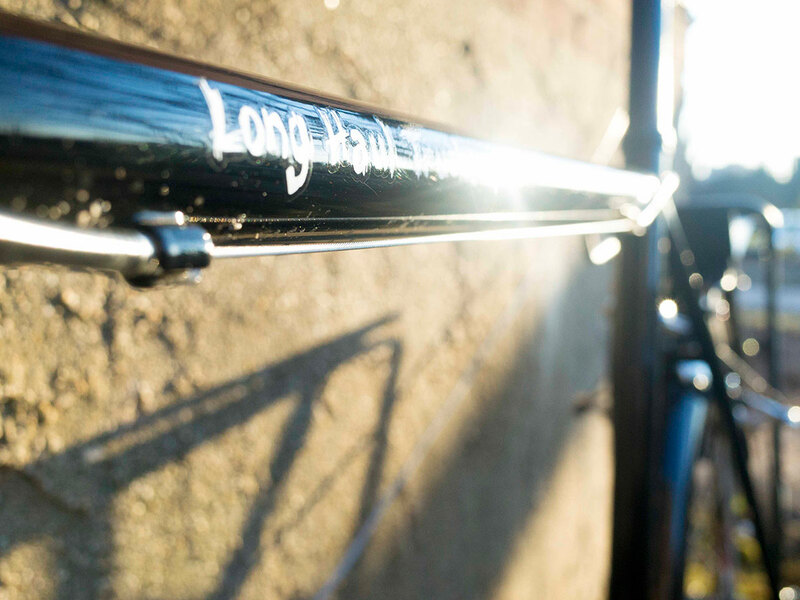 It’s a made from 4130 chromoly which is very strong, reliable and repairable. Building up the new rig was exciting and I was really anxious to get it out there in just a couple of months. When I went into getting my components I was looking for something that was light and strong enough to hold up all my gear. In terms of the racks I needed a front and rear base to place gear on top of. I was bringing my tripod, dolly slider and panniers that were loaded. I spent some time testing out different racks in shops and doing research on the internet. I ended up with a Jandd Expedition rack for the rear and Old Man Mountain in the front. 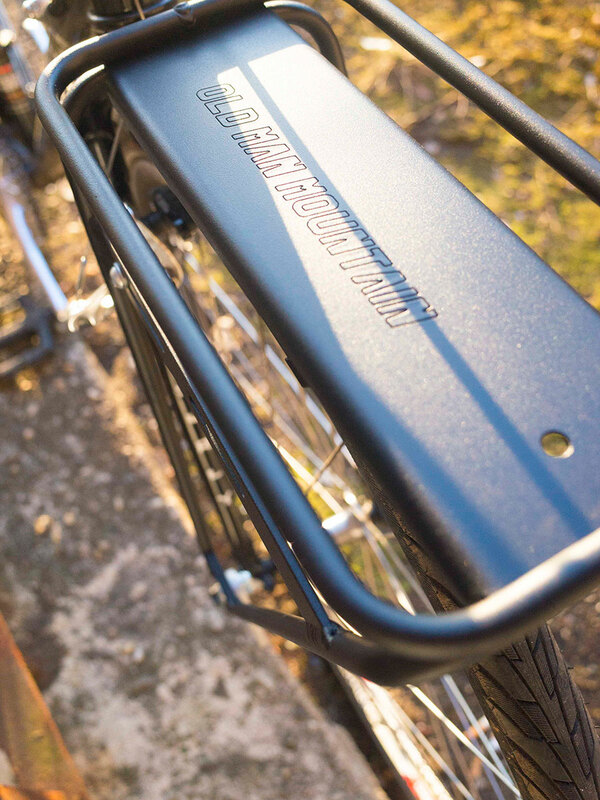 I chose the Jandd Expedition rack because of its 75lbs load capacity, wide and long platform for placing my gear and that it has a set back so my size 13’’ boot heel won’t clip my rear panniers while riding. 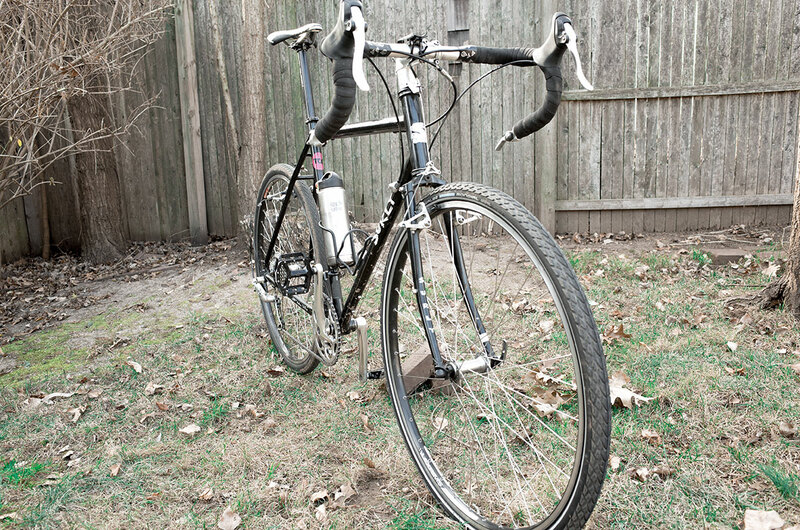 The Old Man Mountain Sherpa is a great rack and has higher horizontal rails, which is what I was looking for. 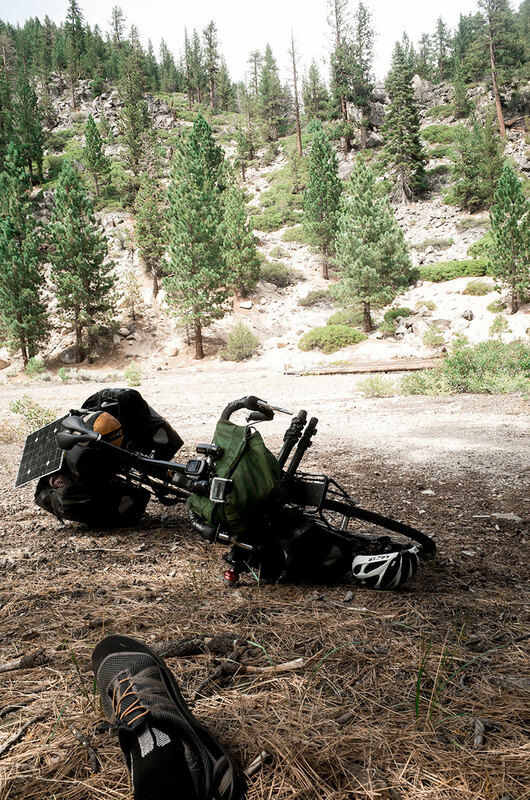 I wanted my gear to sit higher and away from the ground with my panniers mounted. The platform is wide and long enough to seat my tripod and other gear securely while riding. The SKS p50 fenders are great and I’m glad that I included them in my build. They add a nice classic look to my trucker as well. 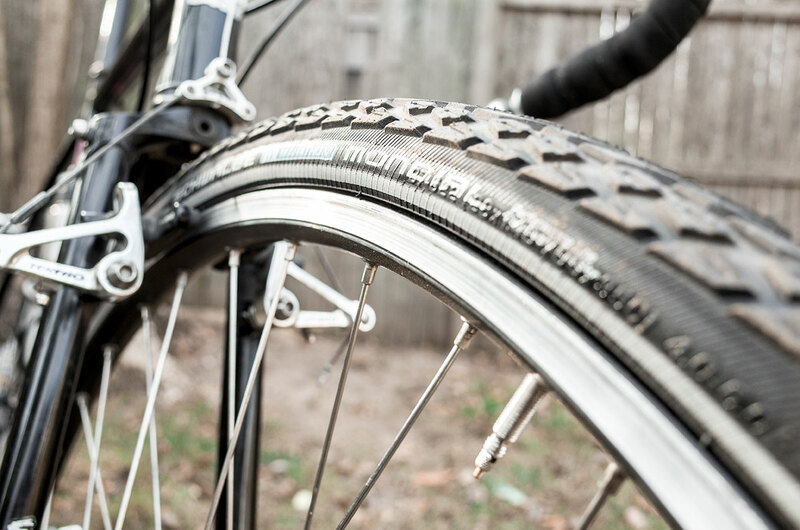 I almost didn’t get them because I figured I’d be in mainly dry climates and both my front and rear racks platform acts as a rain and mud shield. However, the nice range that the p50 has, has kept my boots from getting soaked and kept gunk away from my drivetrain when conditions didn’t favor. 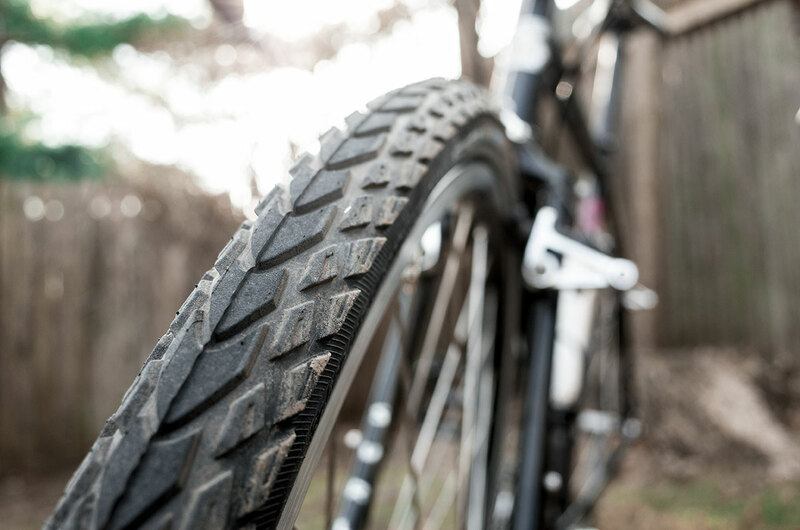 They’re wide enough to fit 700×45 tire width’s which is great for more demanding terrain. 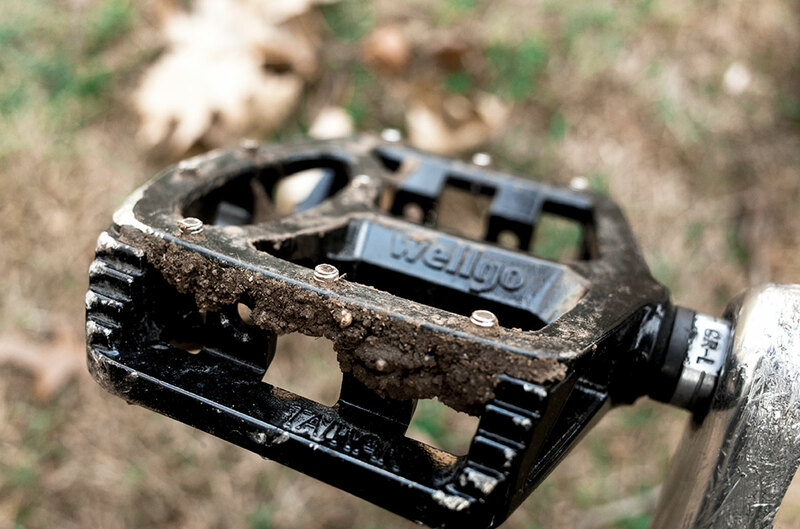 I used BMX platform pedals instead of my LOOK Keo Blade’s because I knew I’d be on and off the bike. While some of the climbing could have been performed better with cleats or SPD’s I’m happy that I didn’t bring them. 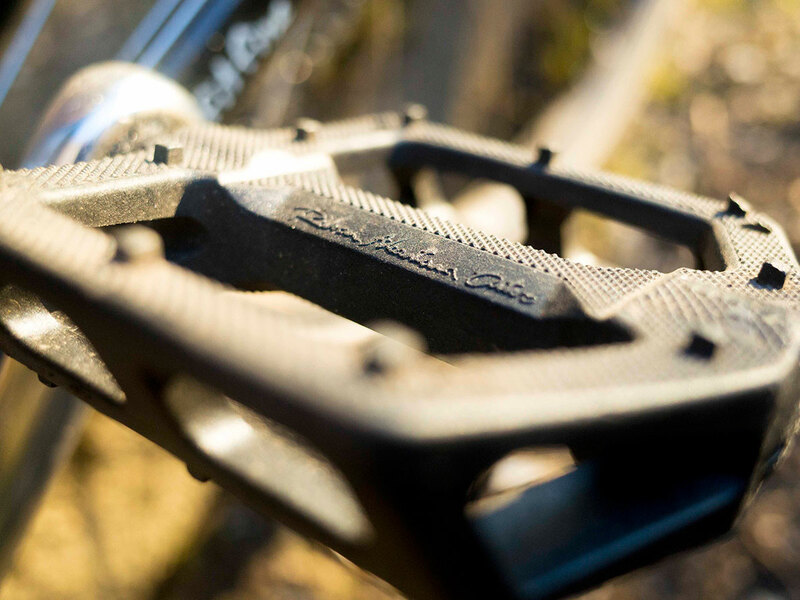 These Fly Bikes Ruben Graphite pedals served me well and came off my old BMX bike. They started breaking down in Colorado but got me through the rest of the trip. I replaced them with Wellgo MG-1’s which are on my current rig. 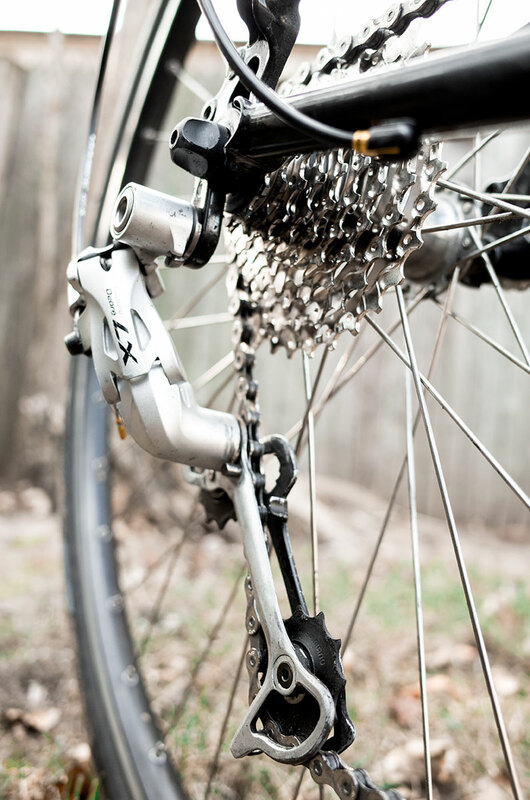 The bike came stock with Shimano Deore Lx derailleur and Sora FD-3503 front derailleur. It’s a responsive 3×9 system and does what it’s supposed to do. While I’ve looked into changing these I have them running perfectly fine on my current rig. Other parts like my seat post and saddle came directly off my other bike. When I first got on the bike with it fully loaded I immediately noticed that it was unstable. Part of it was my oversized load and lack or organized packing. This is when I decided to really take a step back and compartmentalize everything. I’ll go into this further in part two of this review, but I put all my electronics in one bag and camping gear in the other. 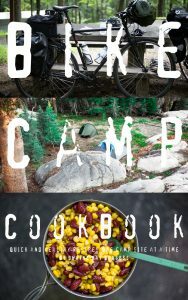 My two front panniers housed my food in one bag along with water and other necessities. 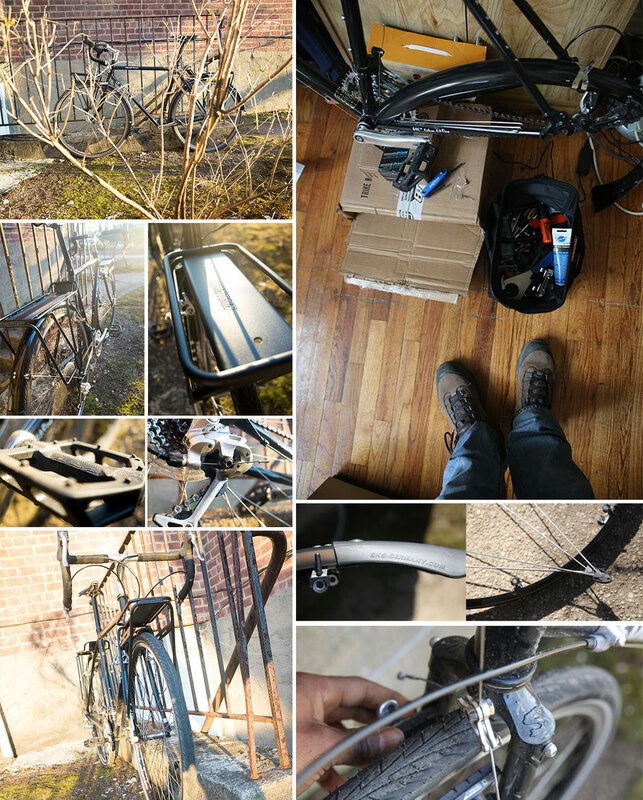 Here’s a few images below with the bike fully loaded and in the field. I’ve had this bike for about 10 months now and it’s a real treat. I use this bike for just about everything from commuting, grocery shopping, single track, group rides and solo ventures to the woods. It’s the ultimate machine that suits my needs. It reminds me of the transformers, burly, fast and easily broken down and modified to your liking. On trails getting over logs can be an issue. The bottom bracket is lower so it’ll hit the sprocket or chain stay. 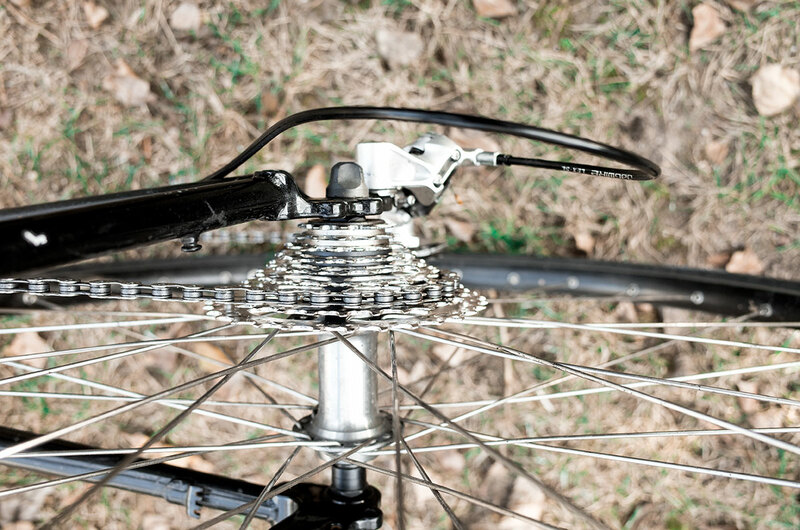 A fast bunny hop over most can clear your bottom bracket and sprocket from getting hit, but when it get’s technical you want to get off to get around them. Most of the parts are the same except a new Shimano 9 speed cassette, Jagwire sport derailleur cables, sealed Wellgo MG-1 pedals, Cinelli Cork bar tape and Schwalbe Marathon Modial (front) and Marathon Plus (rear) tires both at 700×35. 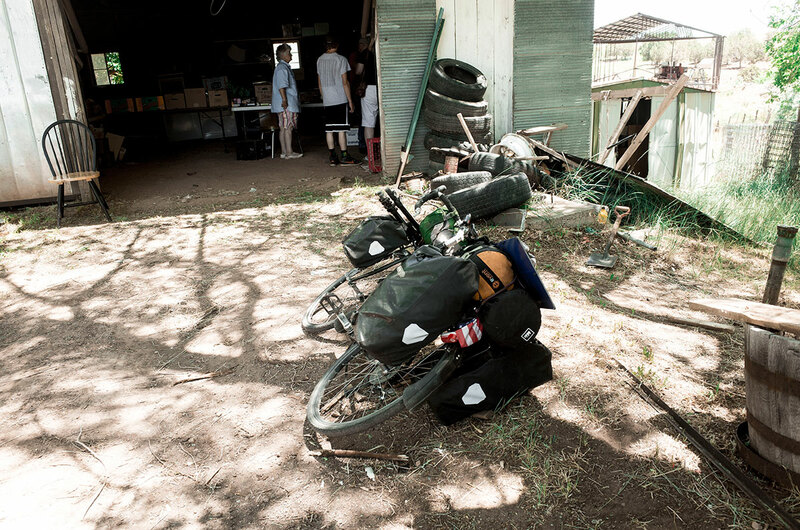 Check back here or our Facebook page for part two covering the gear used for this trip. Hi, Thanks for the review of the LHT. I currently ride a Bianchi Volpe. I’m thinking of buying a LHT for touring. 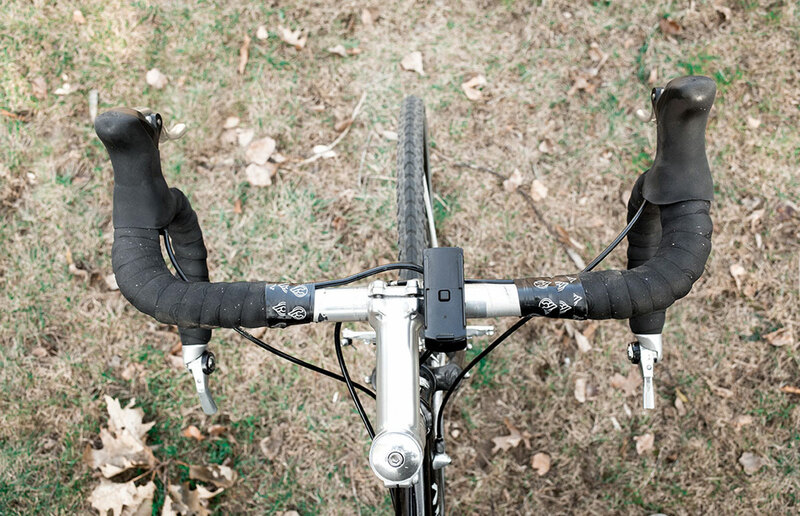 I like the gearing but I’m not sure about the bar end shifters since I’m used to STI. 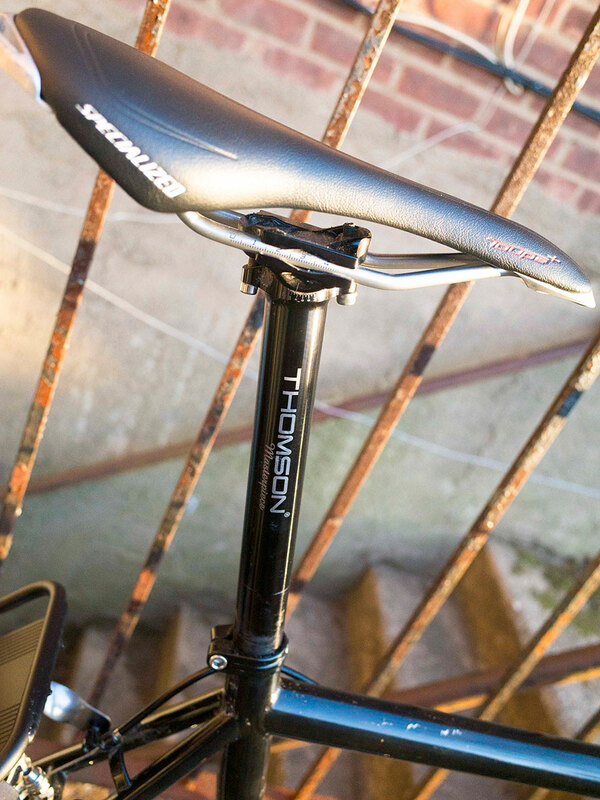 I’m curious why you don’t use a kickstand. When I buy my next bike I intend to get one. My Volpe has fallen many times and that’s been the cause of minor damage. Anything you would change on your LHT? I would probably add a Brooks 67 with springs. Thoughts? Nice pictures. The front brakes look good. Thanks Chris! 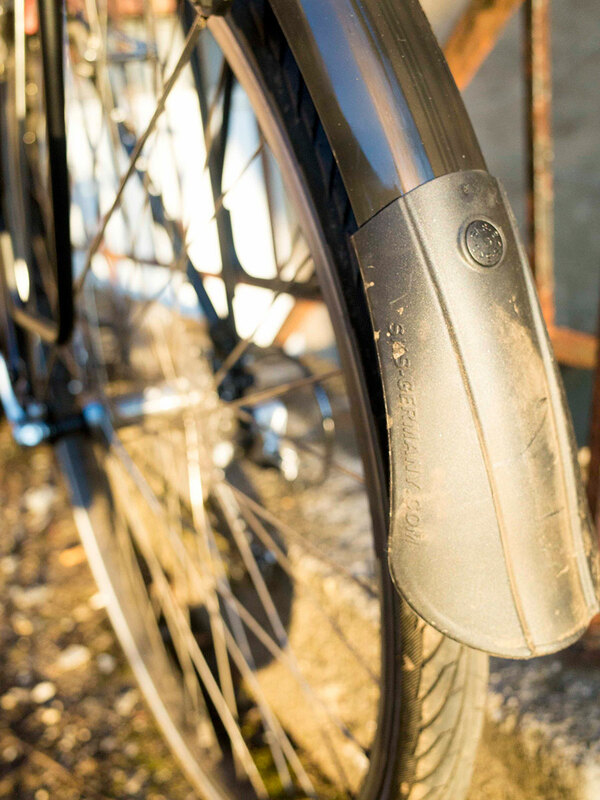 You can probably say it’s a lost art to prop your bike up against the curb with your pedal. 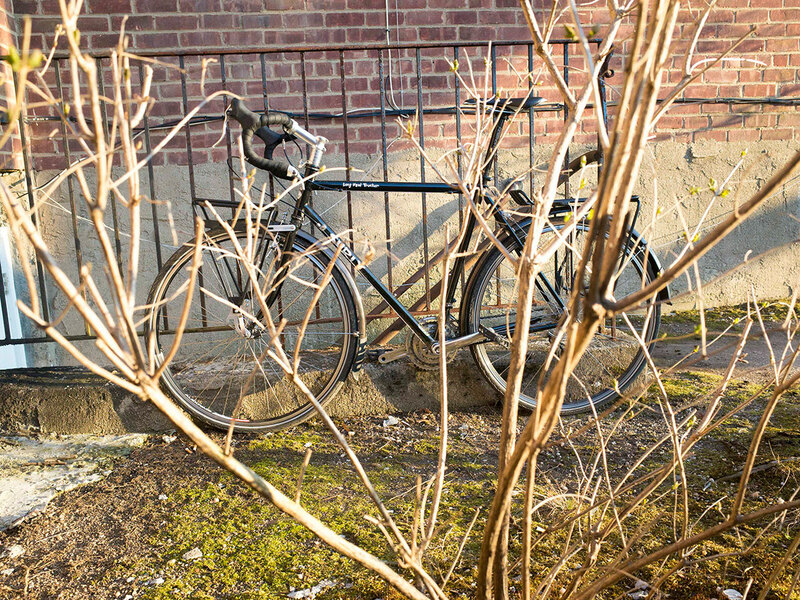 With my bike fully loaded it was easily achievable to lean it against obscure but sturdy things like, walls, fence post, tables and tress. 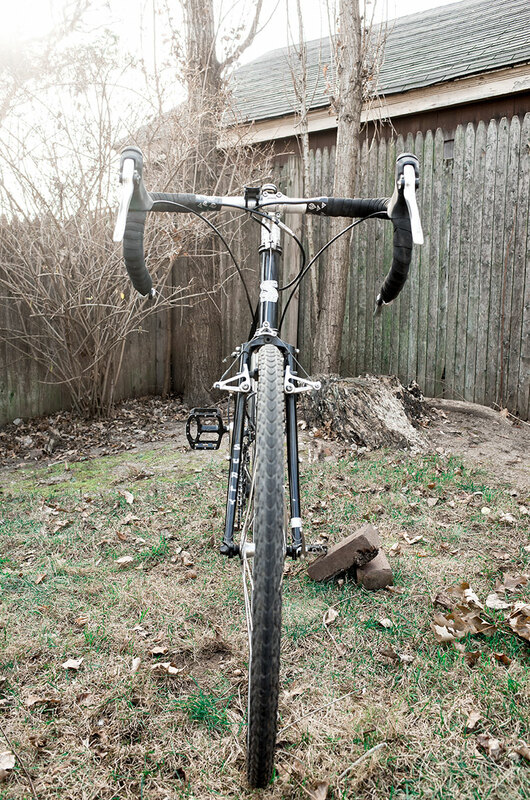 I also placed it on the grass on its non-derailleur side. awesome post! it was helpful and i learned a lot . Curious to know how tall are you? Great review and pick, one of the best that i founded! Thank you @kyrlo Lyutov! I’m 6.1′ (185 cm) tall. Glad you enjoyed the review. Just picked up a new LHT frame to build over the summer and fall. Thanks for the specs and information. Love your LHT build, and appreciated the detail you’re going into – especially in the videos. Inspiring me to get one too now, particularly when seeing how quick you can get the LHT up when it’s unloaded – the vids in Portland really show this. This really is a versatile bike, might be able to sell my other three and combine this to suit all needs! PS was interested to know if you had any problems with the canti setup during your travels – has it held up well, particularly offroad? 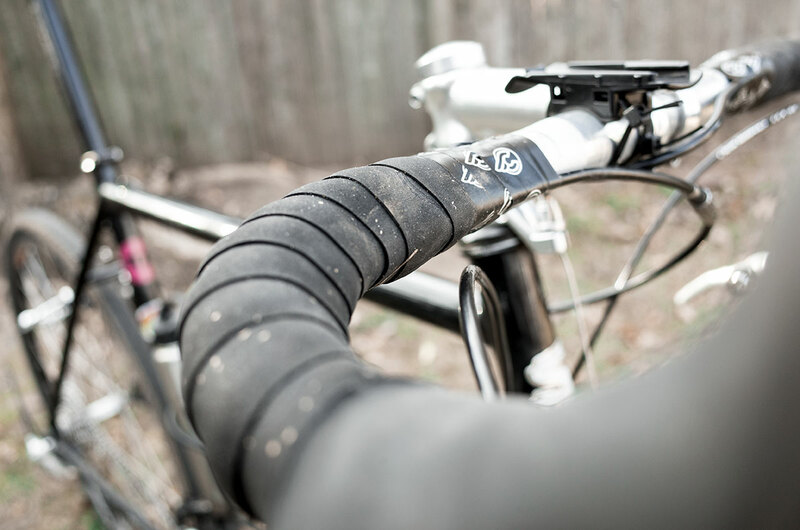 I’m undecided between the disc or canti setup – but leaning to the simplicity of the cantis like you have. Thanks @tadswana for stopping by and checking out the review of the LHT. In terms of maintenance I haven’t had any issues with the cantilever setup on my bike at all. In fact, they’ve been running well since last years trip. I did however found it harder to brake when taking descends on big hills or mountains. I do lube and service the pads and cables regularly. The advantage of the cantilever setup is that I can swap out wheels easily without having to worry about a disc compatible setup. In terms of disc brakes they would be great in the wet weather and through dirt if these are the conditions you plan to be in. I’d say they’re definitely a luxury to have.